Due to religious reasons, a lot of people in India do not eat beef. For the very same reason, many people do not eat pork. This makes chicken a very popular meat, indeed. Some of India's most popular dishes are chicken based. Here are ten of the most famous chicken dishes in Indian cuisine. Very, very few people have not heard of butter chicken. This iconic Indian dish is also known as chicken makkhani and tastes great with kaali daal (black lentils) and naans (leavened tandoor-baked Indian flatbread). Butter chicken came to be in the 1950s in Delhi, at the Mohi Mahal hotel. Legend has it that it was named butter chicken to appear as something "different," in addition to the fact that it does have a little butter mixed with the gravy ingredients. This recipe is the real deal, unlike some of the dishes named butter chicken on restaurant menus that include raisins, food coloring, and ketchup. Among the most famous Indian foods, tandoori chicken is loved by people the world over. The nicest thing about this dish though is that it's really easy to make. It gets its name from the way it is cooked--in a tandoor, or clay oven. After the chicken is marinated in a spiced yogurt mixture, the pieces are threaded onto skewers, and then placed in the tandoor to cook. This recipe calls for tandoor masala, an Indian spice mix you can make ahead of time to always have on hand. It includes turmeric powder and red chilis, which give the tandoori chicken its signature orange hue. From Tamilnadu in South India, this curry is quite fiery. There's no reason why you can't reduce the chilies to suit your own palate, though. Typical of many Indian recipes, the whole spices are toasted and then ground; they are then mixed with ginger and garlic pastes to create a spice paste. Combined with curry leaves and tomatoes, the chicken simmers until tender to create a delicious and spicy chettinad chicken dish. This most basic of chicken recipes is also one of the tastiest. Although many chicken curries include yogurt or cream, this basic recipe creates a thickening agent by grinding the fried onions into a paste and processing the tomatoes with the garlic and ginger pastes. Water is added at the end to balance out the consistency. Serve chicken curry with hot chapatis (Indian flatbread) or plain boiled rice. 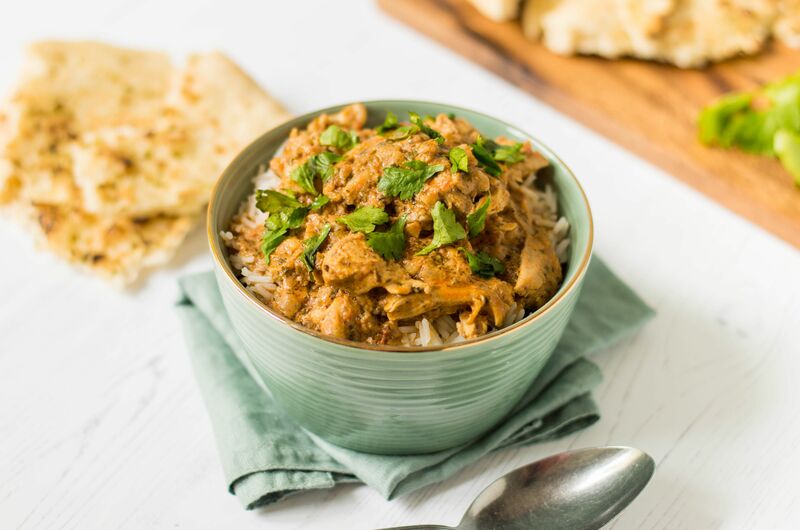 This great make-ahead-of-time chicken dhansak dish as it tastes even better the next day. It is also made with lamb or goat but is just as delicious with chicken. It is a Persian and Gujarati (western India) recipe combining lentils, vegetables, meat, and spices. Don't be deterred by the number of ingredients—most of them are spices to make the masala powder. A light curry dish common in northern India, chicken saagwala consists of pan-fried chicken combined with spinach and a flavorful sauce. It is one of the healthier choices on Indian menus. Pair it with hot chapatis (Indian flatbread) or plain rice and you've got a complete meal the whole family will love. Great to make ahead, too. Reminiscent of the famous Portuguese peri-peri sauce, this delicious, tangy, hot dish is the Indian equivalent of Portuguese-style grilled chicken. It is a spicy dish where the chicken is traditionally deep-fried, but you can grill it if you prefer. With only a few ingredients—chicken, lemon, chilies, garlic, and ginger—you can have this chicken cafreal on the table on a busy weeknight. A regal dish, Mughlai chicken biryani is fit for a king and was probably eaten by many too! This makes the perfect one-dish meal for when you have company. Consisting of chicken (or lamb), rice, yogurt and many spices, it is a filling and flavorful layered dish.